The graceful floral pattern covering this cupboard knob's ceramic body can create a lovely focal point in any placement. 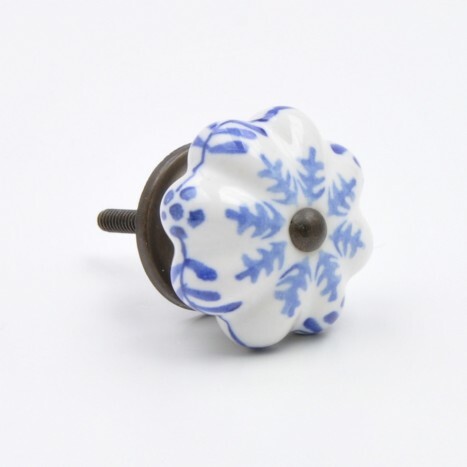 Bring a quaint charm into your home with this hand painted ceramic cupboard knob. A perfect addition to a classically decorated country style property, this delicate item can be mounted to a kitchen cabinet or a cupboard door for a crafty finishing touch.